4 Is the product safe to use? 5 Is the product free? How much do I need to buy it? Today, people are using high resolution cameras in place of the old big video cameras. However, you might forget about the orientation of your videos when capturing them and as a result, you record totally inverted videos. When that happens, you should not panic. Use the free available tools to turn the video back to the right orientation – they will save you the stress associated with turning your neck when watching the video. Yes, you made a good video, but realized that it would be better if you rotated it. With Movavi Video Editor, you can rotate your video whether it is sideways or upside down within a few seconds to get the right video orientation. Movavi Video Editor is a simple video editing software program designed for the enthusiast and casual markets. Even though the tool is not suitable for professional projects, it is capable of making movies for sharing with friends and family and on social media sites. The tool is available in Version 12 for windows and version 4 for MacOS. It also packs a wide range of features such as support for 14 languages, which allows its usage throughout the world. To rotate a video, you will have to edit it first. Now, that sounds like a complex task. Right? No, it shouldn’t. You just need to follow the following simple steps. And if you do not want to rotate your videos by 90 degrees multiples, you can use the “Crop and Rotate” button – it will help you rotate video by the amount you require. In some situations, you might need to rotate a small part of your video. In such situations, you just need to segment the video and then choose the segment you need to rotate. Then, follow the above steps. 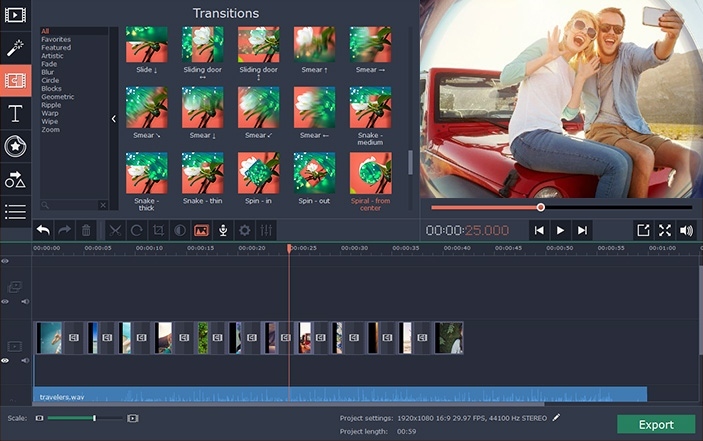 Movavi Video Editor also allows merging of video clips, video quality enhancement, application of special effects and filters, addition of audio tracks, addition of customizable text and more. The producer designed the features in an intuitive manner and therefore you should not have difficulties familiarizing yourself with the tool. 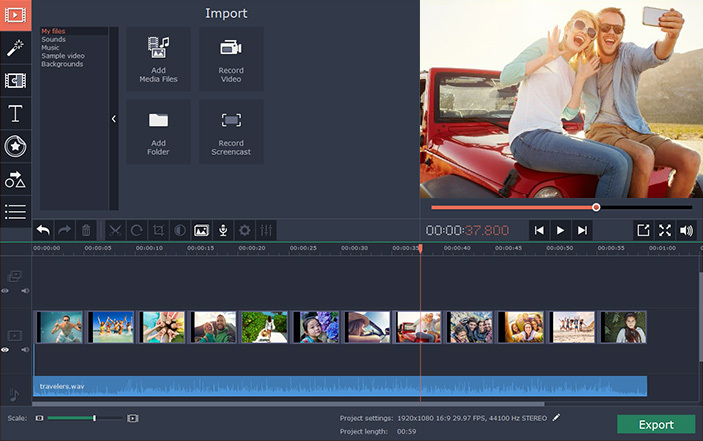 Movavi Video Editor provides a great balance of ease of use and important video editing features, making it a wonderful tool for casual users particularly those who need to share more videos with their friends and family or online. Even though you will encounter a single feature during the installation process that requires more attention, the project is safe to use. After you are through with the installation part, the installer will require you to run the program and your permission to send usage data anonymously to Movavi. Is the product free? How much do I need to buy it? Movavi Video Editor is not a free software. However, you can benefit from the offered free trial. The free trial lasts for only 7 days. During the trial period, all output videos will feature a “Trial” image and the tool will save audio-only projects at half-length. You can remove all the restrictions by buying the license from Movavi for only $79.95 for business use and $39.95 for personal use.